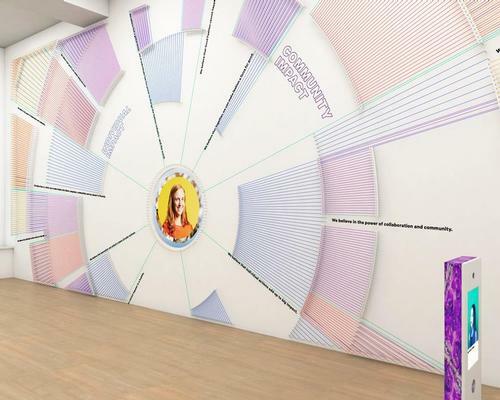 Retailer C&A is set to open a fashion museum in October, with the new attraction in Amsterdam, Netherlands, to be focussed on circular and sustainable design. Sponsored by C&A’s charity arm – the C&A Foundation – and with support from Adidas and PVH Corp, the Fashion for Good Experience has been developed in collaboration with Local Projects, a New York-based experience design studio. According to the company, the museum's exhibitions are being created to help visitors discover the stories behind their clothes. The museum will also how them how they can take action at both an industry and at a global level to ethically support sustainability. Driven by the technology and materials that are changing the fashion industry, the experience will educate visitors about the history of ethical fashion and showcase sustainable products and future fashion innovations. In its Innovation Lounge, guests will be exposed to more than 50 renegades the museum says are about to disrupt the fashion industry. This space looks at such esoteric innovations as biodegradable glitter and dresses made from mushroom roots, as well as concepts like blockchain technology, which could make garment production more transparent. The museum will also include a concept store – the Good Shop – where a mix of international brands and up-and-coming labels will show visitors what new sustainable products are available in the market. The store, says the museum's representatives, will demonstrate that “sustainable fashion can be beautiful” at varying economic levels. A design studio is also included, allowing visitors to create fashion for themselves by taking part in t-shirt printing and engaging with digital design technology and live projections. The museum opens to the public on 5 October. It will be open seven days a week.